It is a harmonious blend of valuable herbs. Ayurveda describes Bhringraj as rasayana. It has the ability to revitalize hair and fight premature greying. 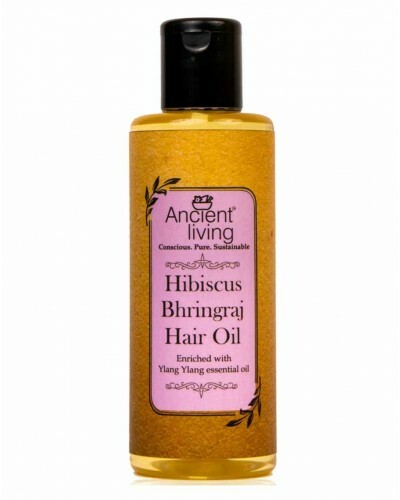 Ancient Living Hibiscus and Bhringraj Hair oil is a harmonious blend of valuable herbs and processed as per the ancient method of Taila Paka Vidhi. 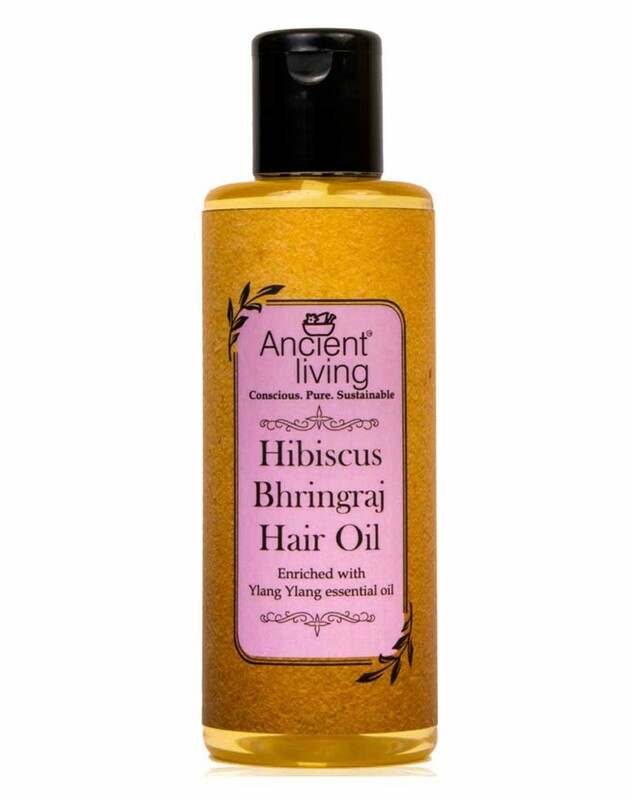 Ayurveda describes Bhringraj as rasayana, with the ability to revitalize hair and fight premature greying. Bhringraj, the word literally is translated as King of Tresses. Hibiscus also known as Japapushpa in Sanskrit contains anthocyanins and flavonoid helps prevent alopecia and nourishes hair and deepens shine. The exotic fragrance of fresh steam distilled flowers Ylang Ylang delights you. Ylang ylang is noted for its pleasing fragrance while it regulates oil production of scalp making it healthy.